Reverend Joseph Rogers, MDiv, has been practicing meditation since 2005. 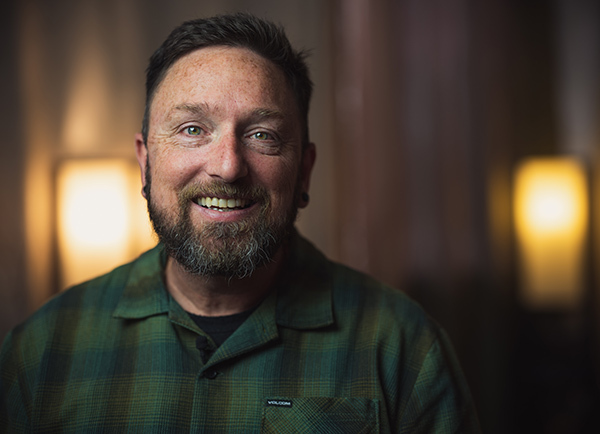 Inspired by the benefits of his sitting practice, he began guiding mindfulness meditation practices for teens with substance abuse issues at Visions Adolescent Treatment Center in 2007. This led to an ongoing interest in the applications of mindfulness and other meditation practices on the path to recovery from addiction. Joseph recently completed an MDiv in chaplaincy at University of the West, where he currently teaches a class in process methodology. Along the way, he has served as a hospice chaplain and healthcare chaplain at UCLA’s Santa Monica Medical Center. One of his fields of expertise is the use of meditation as a support for recovery from addiction. A passionate teacher, guide and inspiration, Rev. Joseph Rogers offers a fresh and encouraging approach to the age-old challenges of substance abuse and recovery.